Everything is bigger in Texas, right? That’s what they say, but don’t tell that to an Alaskan, who will promptly tell you where to put that saying. 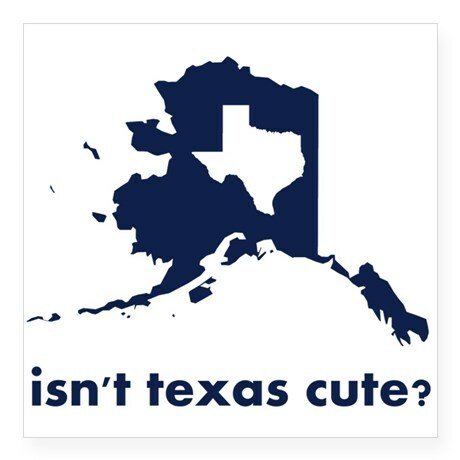 I learned this on my recent trip to Alaska, and as someone who has called Texas home for more than 30 years and has a Texas native daughter, I found it all very interesting. 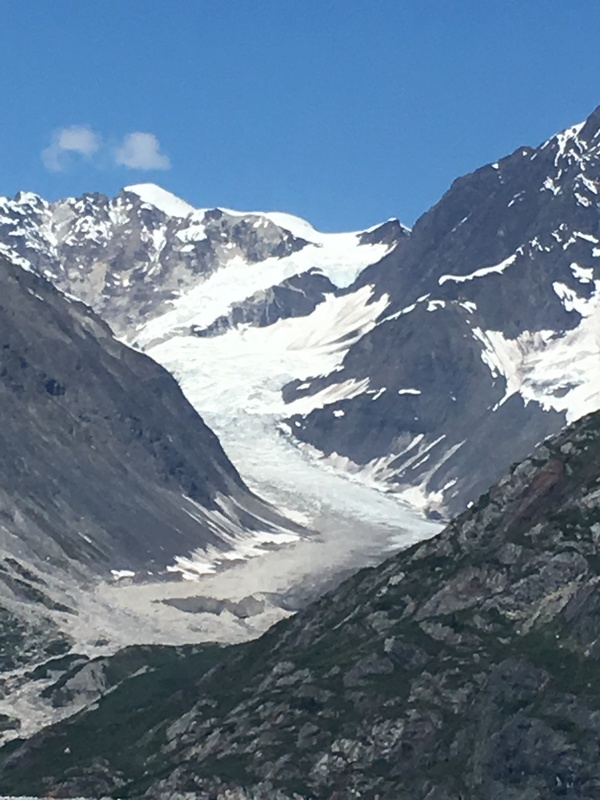 Texas may have 10 gallon hats, but Alaska has 10 story glaciers. As proud as Texans are, it’s hard to argue the size point to an Alaskan. With 663,268 square miles, Alaska is nearly two-and-a-half times bigger than Texas. In fact, it is bigger than Texas, California, and Montana combined and is actually larger than all but 18 sovereign countries. No need to be shamed though Texas, with your 261,231 square miles of land you would be the 39th largest country in the world, ranking just ahead of Afghanistan. Considering there are roughly 200 countries across the globe, this means that the majority of them are smaller than Texas. 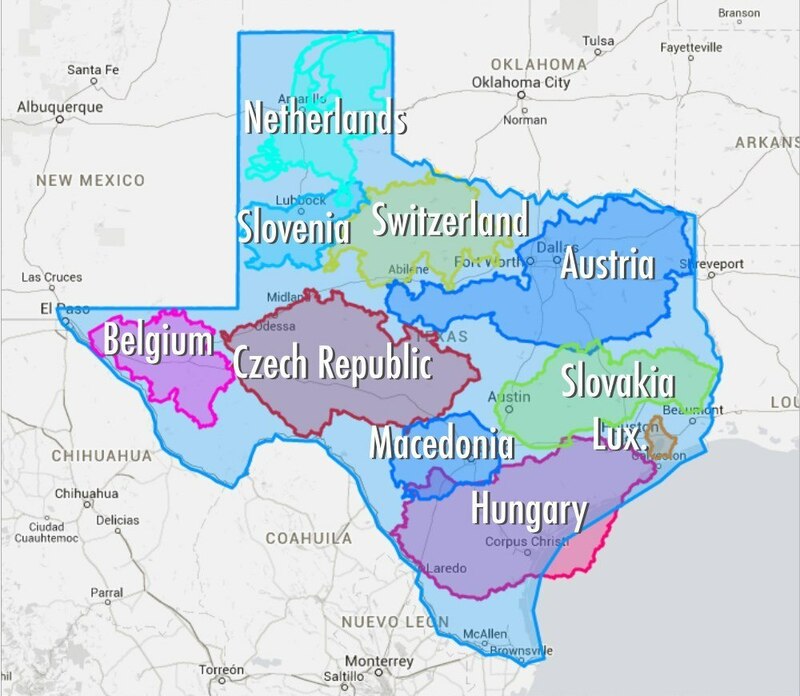 It’s worth saying though, that both states are larger in size than France and Germany and Rhode Island could fit in Alaska 425 times and in Texas 221 times! 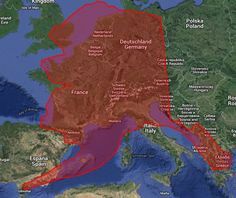 And if that’s not enough to make you saw “wow,” consider these maps depicting how much of Europe would fit in both. You could say Texas is a solid #2 though, as it’s also the second most populous state topped only by California, whose 38 million residents somewhat dwarf Texas’ 27 million. But, Texas does boast the nation’s fourth, fifth, and seventh largest metropolitan areas in the country with Houston, Dallas-Fort Worth, and San Antonio respectively. Houston, with nearly 2.2 million residents, is the state’s largest city and who can forget that the first word spoken from the moon was “Houston.” From the moon! Take that Alaska and California! I remember when I worked and wrote for the Texas Department of Commerce our Tourism Division was big on always including fun facts about Texas in brochures, travel guides, and just about anything we printed and that little gem about the Lunar landing was one of our favorites. For this blog, I thought it’d be fun to compare Alaska and Texas in a totally unbiased way. I love Texas and I loved Alaska so it’s all in fun. Fasten your seat belts and check your bags, here we go! From north to south, Alaska measures 1,420 miles, roughly the same distance from Denver to Mexico City. From east to west, Alaska measures 2,500 miles, which equals the distance from Savannah, Georgia to Santa Barbara, California. Dallas to Houston is about the same distance as London to Paris. Downtown Dallas to downtown Ft. Worth is longer than both the Gaza Strip and the English Channel. Beaumont, Texas is closer to Tampa, Florida than it is to El Paso. Brownsville, Texas is closer to Mexico City than it is to Dallas. Texarkana, Texas is closer to Atlanta than it is to El Paso. Corpus Christi, Texas is closer to Cuba than it is to Denver. Austin is closer to New Orleans than it is to El Paso. Alaska is home to the country’s most northern point, Point Barrow, and the most western point, Cape Wrangell, which is further west than even Hawaii. It also has the most easterly longitude in the U.S. because the Aleutian Islands extend into the eastern hemisphere. Alaska’s population is around 740,000 and approximately half of them live in Anchorage. The population of Texas is just over 22 million, meaning 83 times more people per square mile than Alaska. 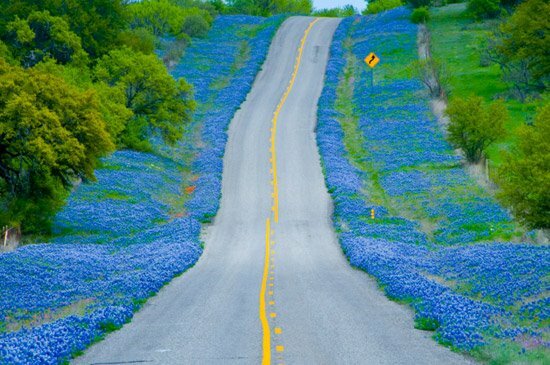 Texas has the second largest state highway system in the country, topped only by North Carolina’s. Just Interstate 10’s length alone is nearly 900 miles and The Old San Antonio Road, also known as El Camino Real, is the oldest highway in the U.S. Historic Route 66 also makes its way through Texas. Only 20 percent of Alaska’s roads are paved and the state’s road system is equal to that of Rhode Island’s, the smallest state. (The road I took for my dog sled race climbed waaay up into the mountains and was not paved!) Alaskans are big on boats and big on airplanes. There is one plane and one pilot for every 70 Alaskans and 6.3 times more active pilots per capita than Texas. Flight time from Dallas or Houston to Anchorage is just over six hours. Flight time from Tokyo to Anchorage is just over seven hours. Alaska has more than 50 percent of the entire U.S. coastline with its 6,640 miles and a longer coastline than all other states combined. Texas has 367 miles of coastline. Alaska has 3 million (yes, 3 million!) lakes that are more than 20 acres big. Texas has many lakes but only one, Caddo Lake in East Texas, is a natural lake. Most lakes in Texas are man-made. But, it does have 5,607 square miles of inland water, ranking it first in the 48 contiguous states, followed by Florida, Minnesota, and Louisiana. Texas shares a border with Mexico. Alaska shares a border with Canada and a maritime border with Russia. The Russian Diomede Island and Alaskan Little Diomede Island in the Bering Strait are only three miles apart. 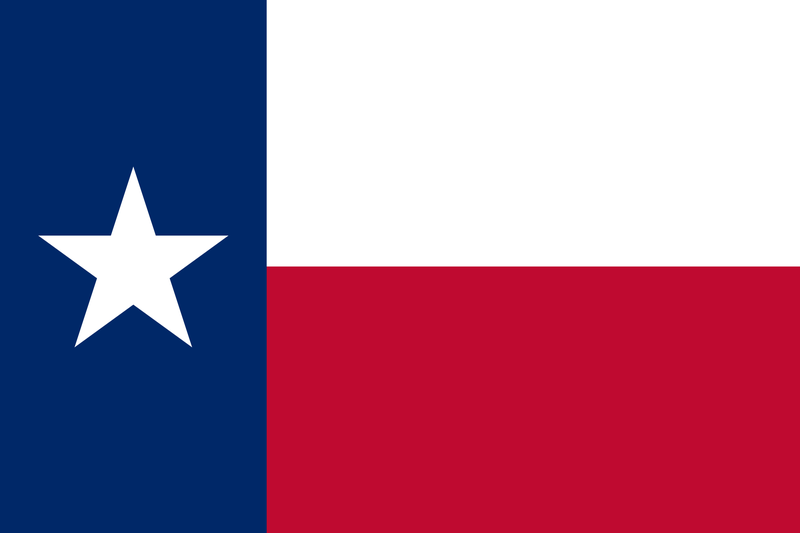 Texas became the 28th state in 1845. Alaska became the 49th state in 1958. The U.S. acquired Texas from Mexico in 1848. The U.S. purchased Alaska from the Russian Empire in 1867. Alaska’s state capital, Juneau, has no connecting roadways to the mainland and can only be reached by boat or plane. Alaska’s highest point, Denali (formerly known as Mt. McKinley), is 20,320 feet and is North America’s highest mountain. Alaska also has 15 other peaks higher than any in the continental U.S.
DFW airport is bigger in land space than Manhattan. The flag of Alaska consists of eight gold stars forming the Big Dipper, as well as the North Star, all on a dark blue field. The Big Dipper is part of the Ursa Major constellation, which symbolizes the bear, an animal indigenous to Alaska. The stars can also be used as a guide to locate Polaris and determine true north. Like the U.S. flag, the Texas flag is red, white, and blue, which stand for bravery, purity, and loyalty…in that order. The “lone” white star represents all Texans and stands for unity. Residents of the Lone Star State love their flag so much there is an actual pledge to it and is taught to school children. The term “Lone Star State” signifies Texas’ former status as an independent republic. It is the “lone” state to lay claim to this and Texans are very proud of it. Texas is also known for its “Six Flags Over Texas,” and I’m not talking theme parks here. The slogan describes the six countries that have ruled over the territory and consist of Spain, France, Mexico, the Republic of Texas, the Confederacy, and the United States. Alaska is known as “The Land of the Midnight Sun.” On December 21 each year, the sun doesn’t rise for 24 hours, and on June 21, the sun doesn’t set for 24 hours. While I was there, the sun set around 10:30 p.m. and rose around 4:30 a.m. Due to the long summer days, vegetables grow huge in Alaska. The largest known cabbage weighed 127 pounds. Oil is big in both Texas and Alaska but Texas wins this battle as the most oil-rich state. It has the highest number of total crude oil production at more than 1.2 billion barrels, the most refineries at 26, and has the most proven oil reserves in the country with more than 10 billion barrels. Surprisingly, Alaska comes in third, followed by #2 North Dakota. Who knew?! Alaska is home to some of the largest oil fields in the country but proven oil reserves are declining. So there you have it. The “Battle Between the Biggies.” I’d call it a draw because residents of both, when asked where they’re from, rarely say a city and instead instinctively reply “Texas” or “Alaska.” But, as much as I think they border on tacky, it’s not uncommon to see a Texas woman wearing Texas-shaped earrings, yet I didn’t see any wearing Alaska-shaped ones. Tiebreak Alaska or “ayes” of Texas? You decide!